Priscilla Sands will become the ninth head of school on Wed., July 1 at Marlborough, the oldest independent girls’ school in Southern California. “As a strong believer in the power of all-girls education, I look forward to working with the talented and dedicated administration, faculty, and staff to further the important mission of the school,” said Sands. 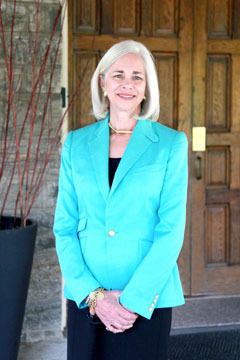 She joins the Rossmore Ave. campus from the Springside Chestnut Hill Academy, where she has served as president since 2011. Sands began her independent school career teaching drama and English at her alma mater, Agnes Irwin School in Philadelphia. She rose through the ranks, overseeing the community service program, serving as director of admissions and as assistant head of school. In 1996, Sands was tapped to lead Springside, and when it merged with the all-boys Chestnut Hill Academy, she was appointed president. During her 19-year tenure, enrollment grew 63 percent; a transformed and unified campus was unveiled; sustainability initiatives earned the school “Green Ribbon” status from the U.S. Dept. of Education; and, she established the Center for Entrepreneurial Leadership. 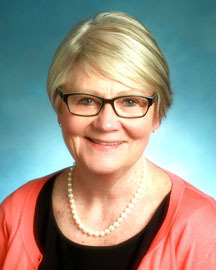 “Her strong commitment to the education of girls, deep understanding of the changing landscape of 21st century education, and thorough knowledge of the expectations of colleges and universities make Dr. Sands an ideal fit,” said Christine Ewell, president of the board of trustees for Marlborough. She replaces Barbara Wagner, who steps down at the end of June after a 26-year span at Marlborough in response to “mistakes in judgment” she allegedly made in regards to a sexual harassment case of a former teacher. NEW PRESIDENT Maureen Diekmann to begin role in July. Alumna and longtime educator Maureen Shannon Diekmann was named president of Immaculate Heart (IH) High and Middle schools. She replaces Julie Sheehan McCormick, who will retire in June. Founded in 1906, the school educates young women in grades six through 12 with a student body of more than 700. Diekmann is an alumna from the class of 1969, and is the mother of two IH graduates, Shannon, class of 2005, and Mary Kathleen, class of 2007. She has been a member of the school’s board of trustees and the chair of its education committee. Following graduation from IH, Diekmann earned a bachelor’s degree in English from Loyola Marymount University, a master’s degree in education from Cal State LA and a master’s degree in educational administration from Mount Saint Mary’s College.